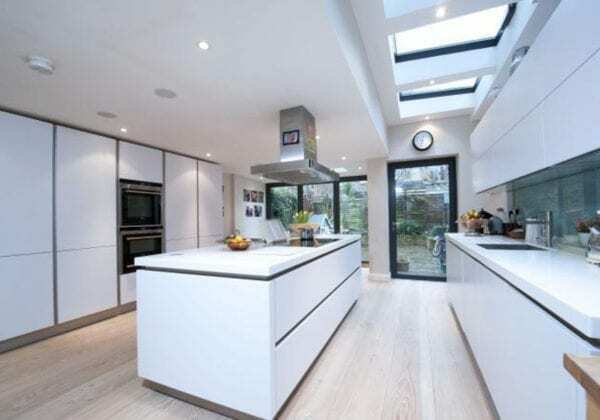 A truly amazing looking kitchen. We worked hard with the client on this project to achieve the kitchen of their dreams. 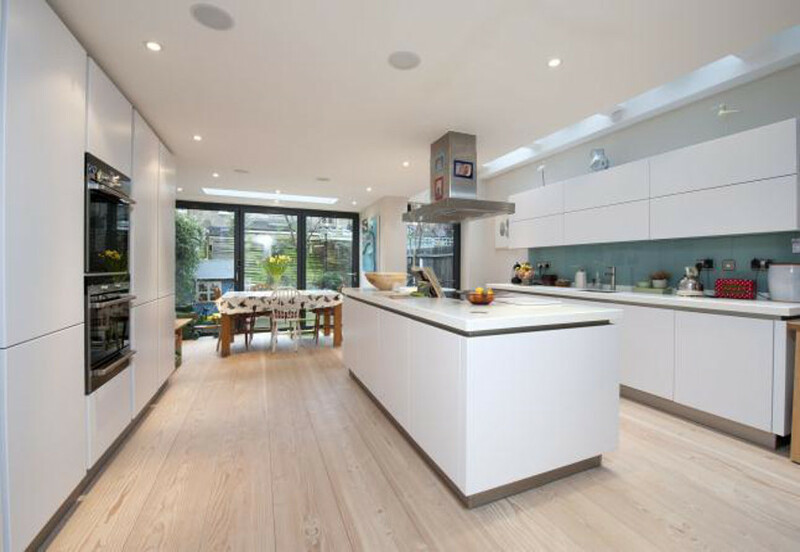 The architect created a large open plan area which enabled us to create two opposite runs of kitchen units with a large central island. 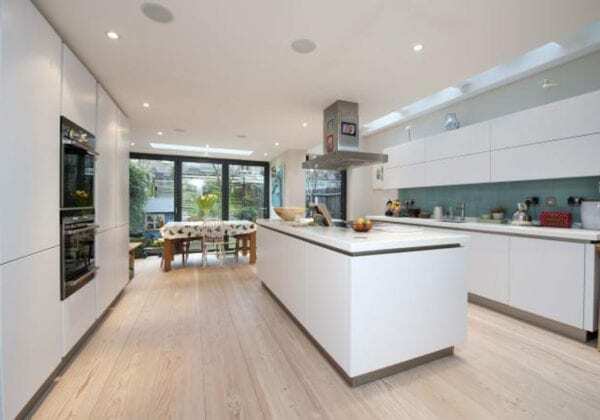 This was combined with white Corian worktops and Miele appliances.